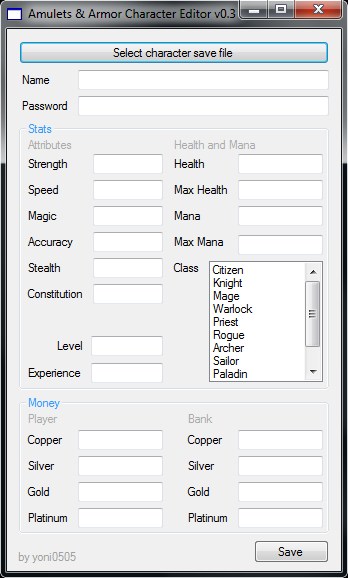 Version 0.3 is here and it let you the ability to edit all of your character's stats. 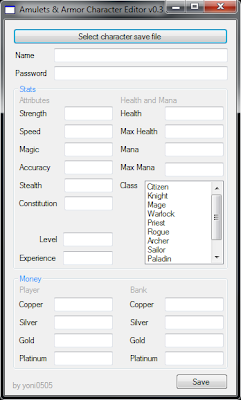 Edit strength, speed, magic, accuracy, stealth and constitution. Edit health, max health, mana and max mana. Added max input value limit to avoid bad input.